In late June 1963 American President John Fitzgerald Kennedy (May 29, 1917 – November 22, 1963) visited Ireland, the home of his ancestors. On 29 June 1963, Kennedy arrived from Galway to Greenpark Racecourse on the outskirts of Limerick, on his last stop before leaving Ireland at Shannon. 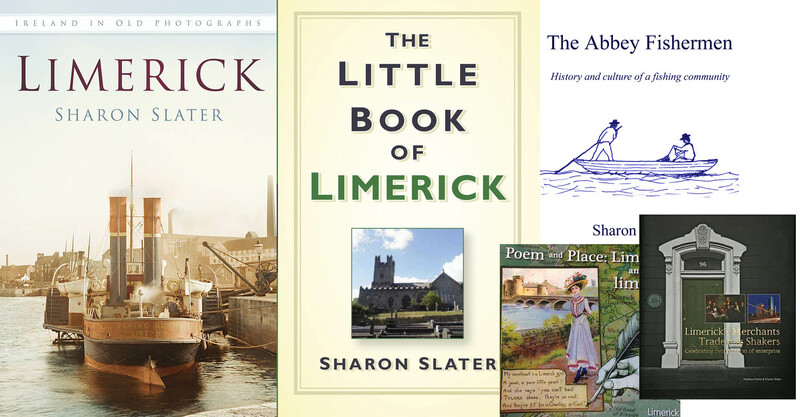 In welcoming you here this afternoon on this race course, Mr President, I would like you to know, however, that we of Limerick have a lovely city of which we are very proud, steeped as it is in history and antiquity with its charter and first Mayor, reaching away back to the year 1197. It was from our docks, Mr. President. that many emigrant ships set sail for your shores, and from which point of departure our people became yours. That time f great exodus is over, thank god , and I am sure and I am sure you will agree with me that there are enough of us over there to keep you happy, and to assure you of your faithful support at all times. The day has come when the point of departure and arrival has transferred itself from us, some 15 miles distant,and in keeping with modern times, to an airport. . . .
Mr President, we the women of Limerick city and County, feel that we have a special claim to you; we the Fitzgeralds. May I repeat we claim the Fitzgerald in you, sir, and we are extremely proud of that heritage. 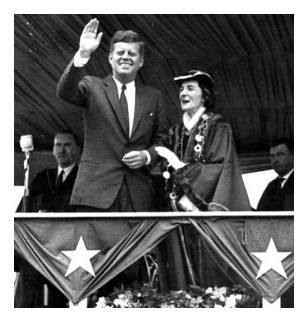 Over there you see a large number of you relatives and connections who have come to greet you on the distaff side. . . .
And now, Mr President, on behalf of my fellow councillors and citizens, I ask that you accept honorary freedom of our city of limerick. In our full recognition of he great honour you have done us in coming to visit us and in your distinguished leadership in aims vital, necessary, united and determined, may God bless you and your family. . . . I ask you, Mr President, to accept this scroll and casket which makes you a freeman, and gives you the freedom of the city of limerick.